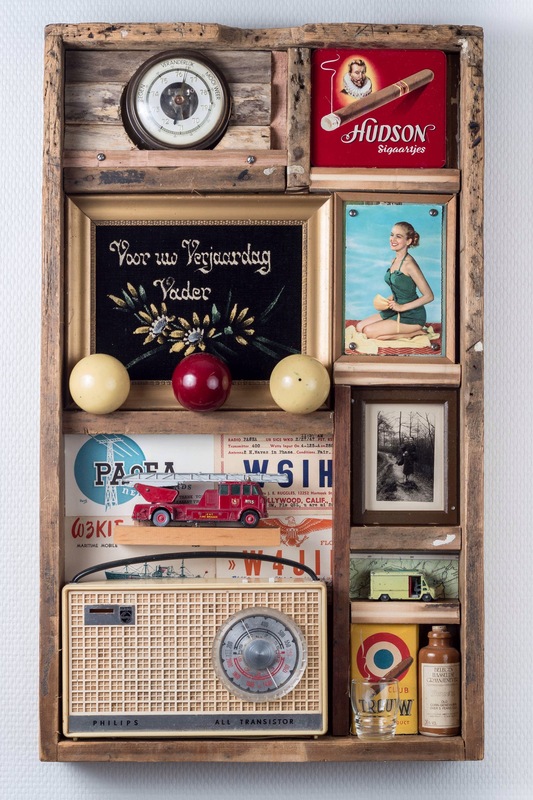 Big assemblage in old wooden frame. 70x40x10cm/28x16x4inch. With several old presents from the fifties and sixties: radio, cards from radio amateurs, small bottle of jenever, cigars, pin up etc.